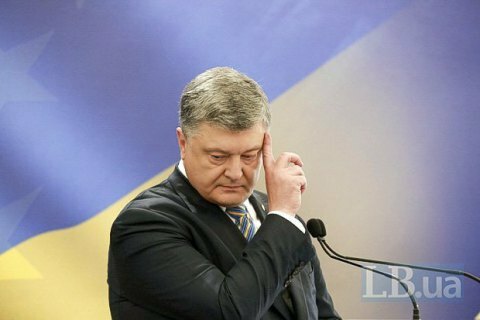 President Petro Poroshenko said that the 2009 gas contract between Russia and Ukraine was criminal. "This signature [under the contract] was criminal and the obligations undertaken were absolutely illegal, non-market and corrupt," Poroshenko said in a speech at the Trypilska TPP on 8 June. The president recalled the recent verdict by the Stockholm Arbitration Tribunal as regards this contract in favor of Ukraine. He emphasized that “take or pay” principle is extortionate, for it means that no matter how much gas is consumed, Ukraine must pay for 52 billion cubic meters, a volume that has never been consumed by Ukraine. The president stressed the gas contract "leonine" and "criminal." The leader of the party Fatherland Yulia Tymoshenko, who signed the gas contract in 2009 as the then prime minister, has recently stated that Ukraine defeated Russia in the Stockholm Arbitration Court "exactly due to the 2009 gas contract".